The Dodecanese (Greek: Δωδεκάνησα, Dodekánisa, meaning "twelve islands") are a group of Greek islands in the Aegean Sea, off the southwest coast of Turkey. They have a rich history, and many of even the smallest inhabited islands boast dozens of Byzantine churches and medieval castles. 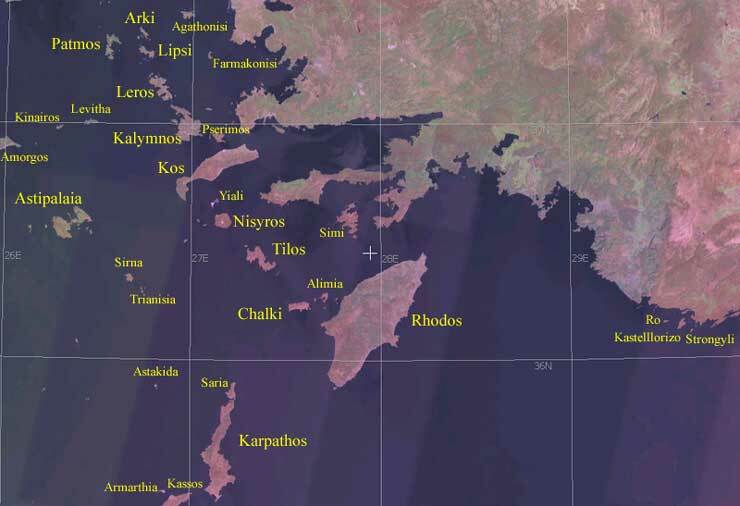 Other notable islands in the chain include Agathonissi, Halki, Lipsi, Pserimos, and Telendos. 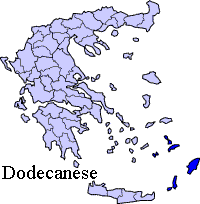 The Dodecanese have been inhabited since prehistoric times. 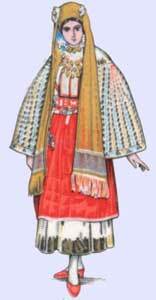 In the oldest historic period, they formed part of the Minoan civilization for several millennia. 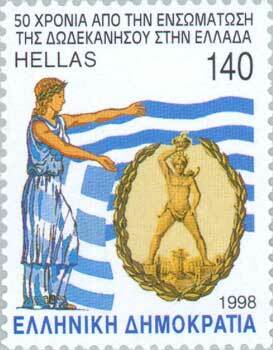 Following the downfall of the Minoans, the islands were ruled by the Achaeans from circa 1400 BC, until the arrival of the Dorians circa 1100 BC. It is in the Dorian period that they began to prosper as an independent entity, developing a thriving economy and culture through the following centuries. By the early Archaic period Rhodes and Kos emerged as the major islands in the group, and in the 6th century BC the Dorians founded three major cities on Rhodes (Lindos, Kameiros and Ialyssos); together with the island of Kos and the cities of Knidos and Halicarnassos on the mainland of Asian Minor, these made up the Dorian Hexapolis. Following the war, the Treaty of Sevres in 1919 called for most of the smaller islands to join with Greece, with Rhodes and several other islands remaining Italian. Italy, however, occupied all the islands, including those from which the French and British had now withdrawn; the Treaty of Lausanne in 1923 gave international recognition to the continued Italian administration. The rise to power of Benito Mussolini and his Fascist Party in 1922 led to a period of repressive rule. Mussolini embarked on a program of Italianization, hoping to make Rhodes a modern transportation hub that would serve as a focal point for the spread of Italian culture through a planned Mediterranean empire. Although the islands were overwhelmingly Greek-speaking, punctuated only by a relatively small Turkish-speaking minority and even smaller Ladino-speaking Jewish minority (with virtually no Italian speakers), schools were required to teach in Italian, and the Greek Orthodox religion of most of the inhabitants was strongly discouraged. These measures caused a good deal of Greek emigration from the island, replaced by a moderate (but relatively small) amount of Italian immigration. Despite this, the Fascist program did have some positive effects in its attempts to modernize the islands, resulting in the eradication of malaria, and the construction of hospitals, aqueducts, and a power plant to provide Rhodes' capital with electric lighting. However, the concrete-dominated Fascist architectural style detracted significantly from the islands' picturesque scenery (and also reminded the inhabitants of Italian rule), and has consequently been largely demolished or remodeled. 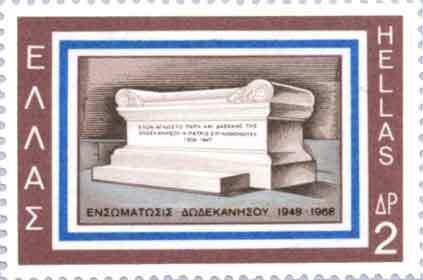 Dodecanese 1948 Union Monument: "To the unknown priest and teacher of Dodecanese, thanks from the fatherland"
During World War II, Italy joined the Axis Powers, and used the Dodecanese as a naval staging area for its invasion of Crete in 1940. In 1943 the islands came under German occupation, and, although the Germans were driven out of mainland Greece in 1944, they remained occupied by Germany until the end of the war in 1945. Following the war, the islands became a British military protectorate, and were almost immediately allowed to run their own civil affairs, upon which the islands became informally united with Greece, though under separate sovereignty and military control. Despite objections from Turkey, which desired the islands as well, they were formally united with Greece by the 1947 Peace Treaty with Italy.